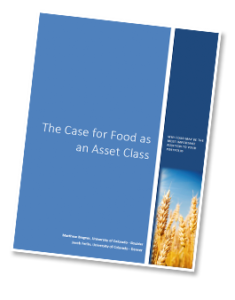 Food as an Asset Class is a unique investment that, before today, has lacked securitization. While everyone appreciates the value of food, the ability to invest in this highly-dependable asset has been difficult, if not impossible until now. The world’s most inefficient market has been food and possibly the greatest opportunity exists in developing nations where established markets do not exist in large part due to a lack of grading standards, limited access to regional and global market prices, and an inability to store food for future use or sale. The World Food Bank™ is changing that. Now, through the advent of new drying, packaging, and storage technologies, most grains, pulses, fruits and vegetables can be dried and stored often with a shelf life of twenty or more years. With the growth of better quality food commodities and the support of countries integrating these processes into their own sustainability and resiliency plans, there is an incredible opportunity to buy commodities that might otherwise spoil, to convert them from an expiring asset into an extended shelf life commodity, and then to offer them back into the market when prices are much higher. The chart above demonstrates in one of more than a hundred markets around the world where the cyclical nature of supply creates great volatility in the marketplace. The World Food Bank™’s purchasing program supports smallholder farmers around the world when threatened by excess supply and low market prices, by providing guaranteed offtake. On the sale side, World Food Bank™ offers a network of strategically located warehouses with extended shelf-life food commodities capable of providing immediate supply into markets that have suffered from disaster, displacement, or limited supply in local markets. The WFB seeks to diversify across all food commodity markets to include grains, pulses, fruits, vegetables and even specialty commodities to hedge risk of extended flat markets in any single commodity market. 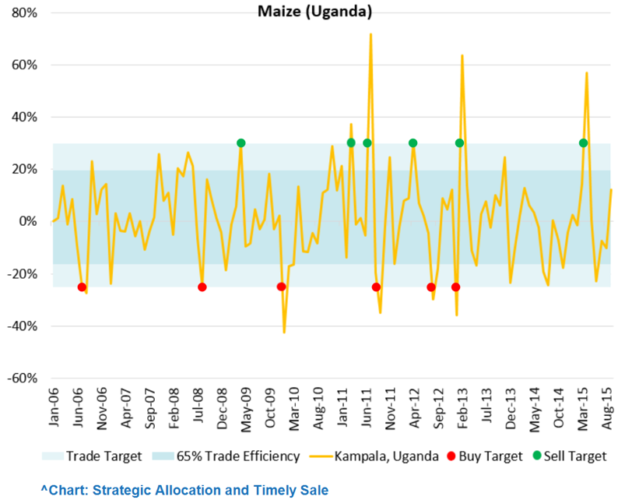 Ultimately, farmers have access to a reliable market at higher prices, buyers have access to lower prices when supplies are depleted and investors earn strong risk-adjusted returns in the middle. If you are interested in impact investment opportunities with The World Food Bank that will produce strong financial and social returns, please send us an email today!